HOME > CONTACTS AREA > How can I manage my guests' contacts? 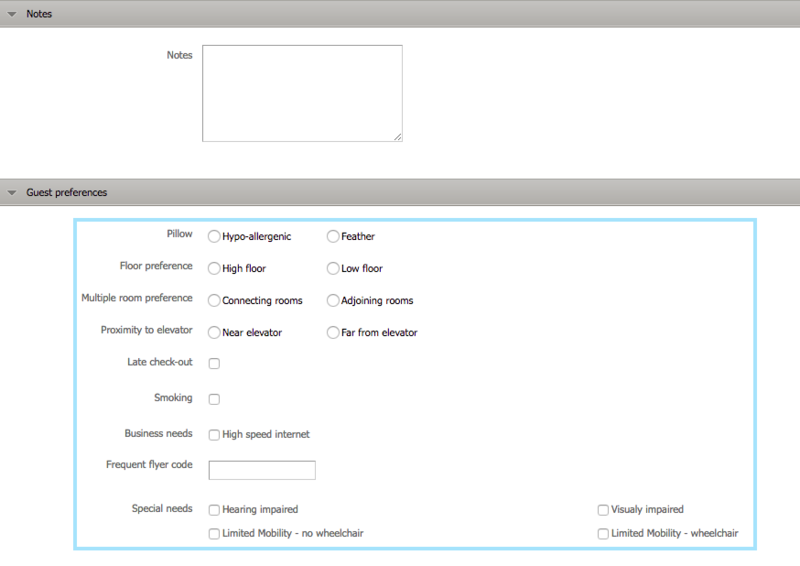 In this area the Hotel will be able to save the contacts of the guests, adding some essential information as well as special notes, preferences or special needs, which will help on a better management of the hotel's clients. How can I create a guest profile? In order to save a guest's contact, you will need to create a profile. STEP 2: On the left navigation menu, select ALL GUESTS. STEP 3: Click on NEW GUEST and fill in all the information you have on your guest. STEP 4: You may also add some additional notes and highlight some preferences or special needs. After creating the contact, you may consult your guest's profile. How can I consult my guest’s profile? STEP 1: On the CONTACTS tab, select ALL GUESTS on the left navigation menu. 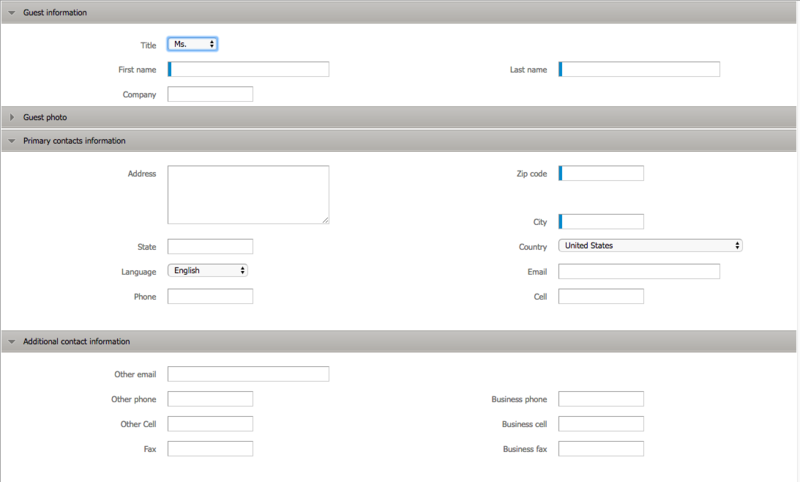 STEP 2: Click on the row of the guest and access its details by double-clicking on OPEN. On the row, you may RATE A GUEST by giving stars (being being 1 the lowest and 5 the highest rate). Also, if you have a repeating customer, a diamond will appear on the left side of the name with the number of times the guest has stayed on your hotel. How can I edit my guest's profile and preferences? STEP 1: On the same tab, you may edit your guest's details. Select the relevant guest by double-clicking on it or select it and click on OPEN. Then, Within the new screen, click on EDIT. 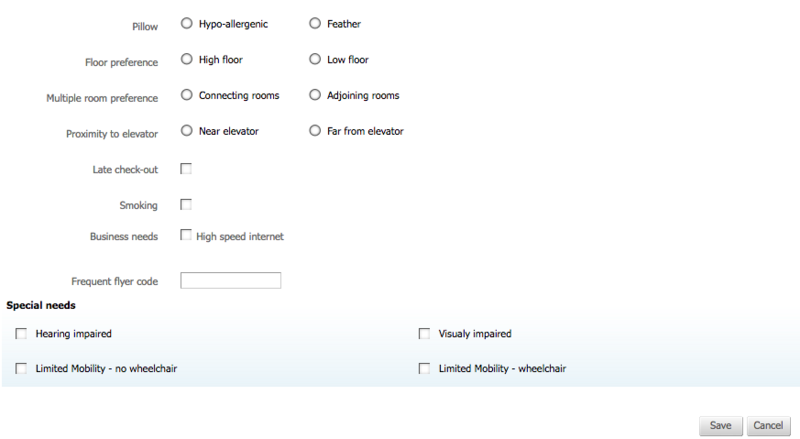 STEP 2: You may also edit the preferences or special needs of guest by selecting or deselecting the options available. Select the guest and click on OPEN. 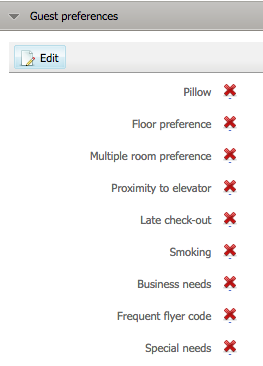 STEP 3: Scroll down until you find the GUEST PREFERENCES area and click on EDIT. Make sure you save all the information entered in all the previous steps by clicking on the button.